This month I wanted to test out several vitamin c serums since my skin has responded really well to them. I wanted to share a serum I've been using by Nature's Best Vitamin C serum. It's useful to get these serums in a dropper bottle so you can control the amount that you're using, as opposed to a pump or squeeze bottle. Nature's Best serum is formulated to stimulate collagen and helps with fine lines and wrinkles. I noticed that in the last few years, my face products were not helping my skin's elasticity and firmness, so I wanted something that would target those issues as well. How would you like to win your own Vitamin C serum from TruSkin Naturals? Details to enter are below! Open to U.S. residents 18 and older. This giveaway is only open for two days, from May 26 - 28, 2014! To enter, complete the entries in the Rafflecopter form. If you can't find the link to my TruSkin Naturals review, here is the link. I’ve been looking into the quality of Vitamin C serums, and the percentage amount that would be most effective for your skin. Vitamin C is a great way to hydrate and moisturize your skin, and it has wonderful anti-aging properties. I’ve also seen articles on hyaluronic acid and the multiple benefits of including it in your skin regimen. When I came across TruSkin Naturals’ Vitamin C with Hyaluronic Acid combination, I was really excited to try it! When it comes to skin care products that will benefit your skin, I like products that can target multiple issues. This combination of both Vitamin C and hyaluronic acid means you are getting your money’s worth and will be nourishing your skin with quality products. I saw how beneficial using a serum at night was for my skin, so I continued my search for an addition to my newly discovered regimen! 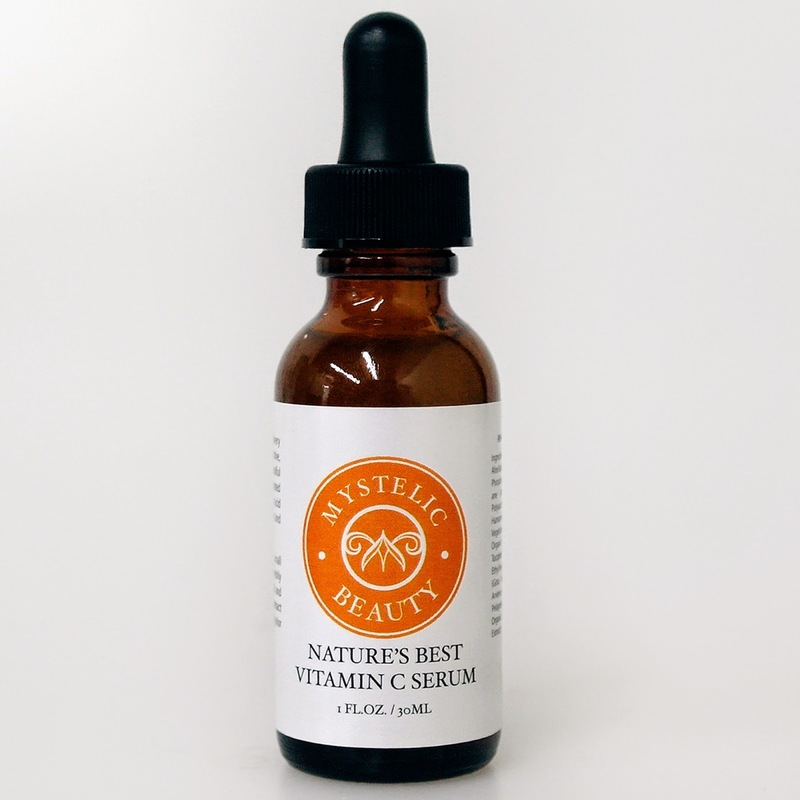 InstaNatural has two products that I was curious about: Rosehip seed oil and Vitamin C serum. I've been actively looking for ways to improve the dullness and clarity of my skin, thanks to the harsh and dry winter season. A colleague of mine mentioned that serums were a great way to increase the glow and radiance of your skin, while helping with dark spots and wrinkles. I came across the Even Glow Serum by Valentia Skin Care and have been using it for a few weeks. I have straight, long hair that gets tangled frequently. It is incredibly frustrating to brush my hair with traditional brushes and ripping out hair strands in order to de-tangle my hair. Since I don't like to use hair products to keep my hair tangle-free, I am always looking for the next best brush to give me that soft and luscious hair! I came across a detangling hair brush from Crave Naturals and wanted to give it a try. The brushes I own that have similar bristles don't have handles, and it makes holding my hair brushes quite bothersome, especially when I'm trying to blow dry my hair and brush it at the same time. The Crave Naturals brush has an ergonomic handle with a nice grip. My lashes have been the bane of my existence since I learned about eyelash curlers and mascaras. Perhaps that is a bit of exaggeration, but ever since I can remember, my lashes have been thin, short, and had a tendency to point to the ground. Over the years, I've tried to curl them, used multiple coats of mascara, and even resorted to eyelash extensions. The problem with all this was that they were not my lashes. The mascara made them thicker, and the extensions were obviously not real and none of it looked natural. I saw in recent years the number of lash enhancing products on the market. I wanted to try a brand with great results, so I searched for quite some time. I came across an eyelash serum six months ago from Fysiko. I read about their product and decided to give it a try. I figured what could I possibly lose? My lashes are incredibly thin and short no matter what I do, so why not? For the last 6-7 months, I have been secretly using Fysiko eyelash serum. I didn't want anyone to know, but I documented my progress and I finally have great-looking lashes! I love finding the latest fashion online and came across an apparel store called Aupie. Their dresses are form-fitting and are a great addition to my wardrobe. They have styles ranging from luxury to classic and even trendy to professional. Aupie offers free shipping worldwide, and a 20% off coupon, which is a great deal! Aupie sells fashionable accessories and apparel such as sweaters, dresses, coats, and bottoms. 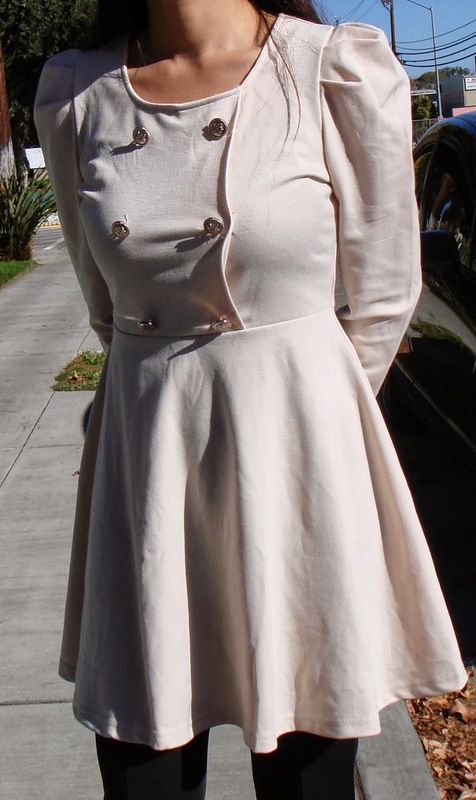 I ordered this double breasted puff sleeved dress in cream. This zippered sweater dress can be dressed up or down, for a professional work look, or a casual evening out at dinner. I paired this top with skinny slacks and fall boots. I've also worn black leggings with this and paired it with closed toe calf boots. The lightweight material is ideal for the fall season and the dress accentuates your body's curves. I have a hard time finding clothes that fit due to my body shape. I'm a curvy petite woman and my sizes in clothing range from XS to M.
I ordered this dress in medium and the fit was accurate. The medium for this dress is the equivalent of a small size, so if you're unsure, order one size up. If you're petite and weigh less than 130, I would suggest the medium size. What do you think of this dress? Check out Aupie's site and let me know if you find any of their clothing fashionable! Check out Aupie on Facebook for the latest deals. Right now they are offering 20% off for first-time customers! The code is on their Facebook page, so grab the code before it expires. It's time for another fashion giveaway! 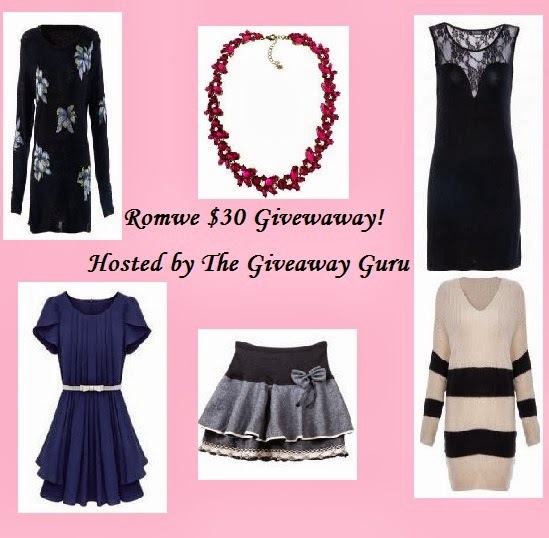 Two winners will each receive a $30 gift certificate to use on Romwe. This giveaway is open worldwide to fashion lovers 18 and older! Giveaway will run from Oct. 19 (12AM eastern time) - Oct. 30, 2013 (12AM eastern time). Please enter by using the form below. Once you complete an entry, click submit to earn your points for the giveaway. That's it! There will be TWO winners total! You know it's fall when you wake up one morning, and the weather looks gloomy. You step outside and your fingers and nose freeze from the coldness. Make sure you stay warm with sweaters, scarves, and boots this holiday season! Romwe is having another sale for only 48 hours. 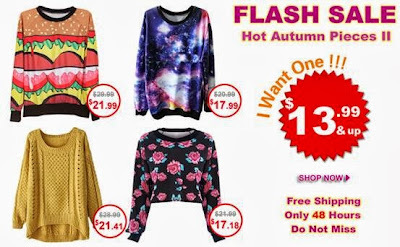 You can grab any of their sale items. As always, Romwe offers free shipping on any order worldwide. I finally found my online place to get peacoats and jackets! I always have problems with extra-small or small sizes being too big, while the arm sleeve is too long. I've had this jacket for 2 months, and it is very warm! This coat has a long collar, that can be buttoned up as shown (acts like a scarf), or you can fold it down for a regular peacoat look. The material is lightweight, but keeps you warm. It's a sleek coat that definitely makes you look slimmer and goes well with leggings or slacks. Check out the rest of their peacoats and let me know what you think! I may be giving away one of these coats for the holiday season! Since I've been sharing my favorite companies that make natural beauty and health products, I also wanted to share with you a few that don't test on animals. When I think of animal testing, I think of lipstick and eyeshadows on pigs, perfume sprays on chickens, and lotions on cows. I never understood why companies resort to animal testing when there are focus groups and people who are willing to sign up to test beauty products. It makes me wonder what exactly is in that product that can potentially be so harmful to us, that they would rather use animals? Some of my favorite products come from these great companies who don't need to resort to animal testing. I have sensitive skin, and Aveda products have been effective for me. Their plant based shampoos, conditioners, and lotions are not irritating, especially the rosemary mint line. I'm surprised to see ELF cosmetics as an animal-free testing company. Their products are incredibly affordable ($1 for eyeliners and lipsticks, yes please! ), so the argument from companies testing on animals to keep costs down is not acceptable to me. What are some of your favorite animal cruelty-free and test-free products or companies? Share them with me and I'll include your comments on my next blog post. It's fall season, which means it's time to bring out the sweaters, cardigans, and coats! There is nothing I love more than the cozy and warm feeling of my outfits on a cold and crisp day. There is definitely a way to look fashionable while staying warm! The best way to pair your fall season clothes is with boots and scarves. Romwe is having a sale on their winter items, up to 40% off! Grab that sweater or coat you have had your eyes on and be sure to check out their scarf collection too. I've purchased several peacoats from Romwe, and love the fit and design! Also, Romwe offers discounts such as 10% off or even $5 off your first time purchase. They also have regular coupons listed on their site if you have shopped there before. Romwe offers free shipping worldwide, so be sure to take advantage of their shipping! 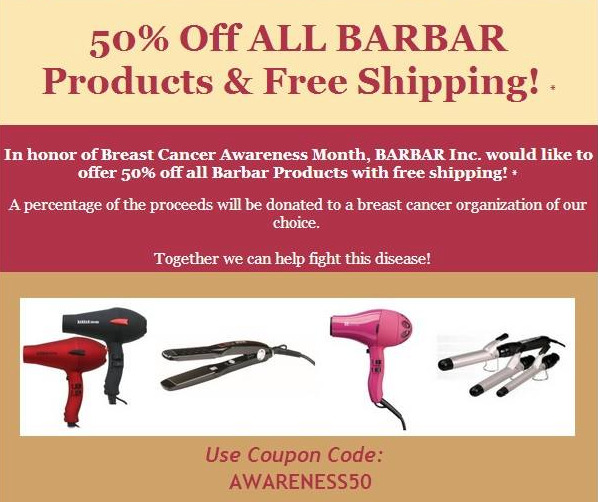 When you use hair tools, be sure to use one that emits low/no radiation, like the products from Barbar Hair Tools. As part of Breast Cancer Awareness month, I am introducing you to a company who stands out for their dedication to healthy and happy living. Any product you use, including hair appliances, should help you and not harm you with radiation or other chemicals. 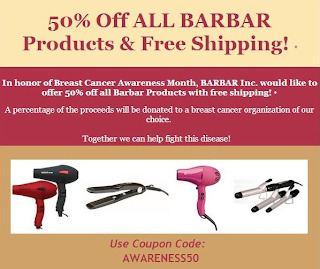 Barbar Hair Tools will donate a percentage of their proceeds to breast cancer. Right now, you can get 50% off your order plus free shipping! Do you have a breast cancer story you would like to share? Please leave them below in the comments! and makeup items all under $10.99! Are you ready for another Romwe sale? This time, score some fall season favorites, such as boots, sweaters, and even makeup! Sale valid from Sept. 2 - 9, 2013. Check out those pink boots! Don't forget, free shipping worldwide, plus they have a 20% off code with your first purchase! After years of suffering from acne breakouts, uneven skin tone, discoloration, and acne scarring, I gave up on my face. I hated going anywhere without makeup, and my rosacea only made things worse. When I would have flare-ups, my face would be bright red. All the time and money consuming visits to dermatologists did absolutely nothing for my face. I told myself I would no longer subject my face to the creams that would cause flaking, itching, stinging, burning, and drying. This is when I decided I would just hide behind my foundation mask forever. I've suffered from skin problems for 10 years, and I finally gave up. This post brought to you by Tree Hut. All opinions are 100% mine. 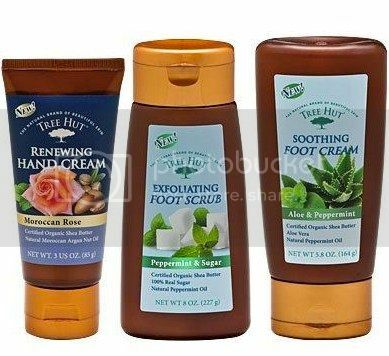 I recently came across Tree Hut, a company that makes foot creams, hand creams, and foot scrubs to help moisturize skin. Have you seen these gorgeous leggings from Romwe? Get a 2nd pair for yourself, or for your sister/best friend/cousin/family/friend! Valid April 10 - 12, 2013. Only 72 hours! I get pedicures every month from my local beauty salon. My toes always look great right out of the shop, but I tend to smudge the polish and ruin the pedicure. It can be incredibly frustrating to pay for a high-quality pedicure, only to discover that the color has been smudged!